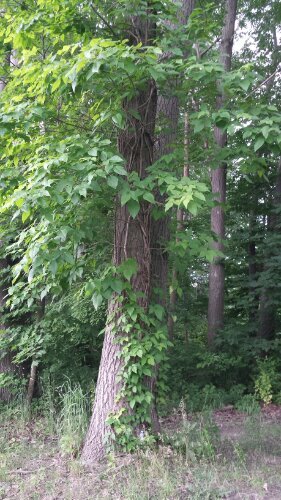 Hug this tree and everybody will know about it for the duration of your Poison Ivy flare up! 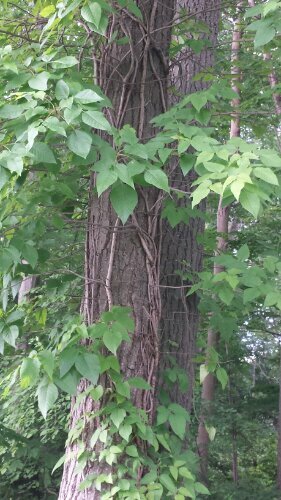 I was impressed with this muscular Poison Ivy vine adjascent to a lake in Saratoga county. Those are huge leaves on the upper deck, measuring at least 8-10 inches across. In the gardens of Saratoga this Poison Ivy would absolutely be frowned upon. But here, in a semi wild area, Poison Ivy has habitat value, offering migrating birds berries and a hiding place.